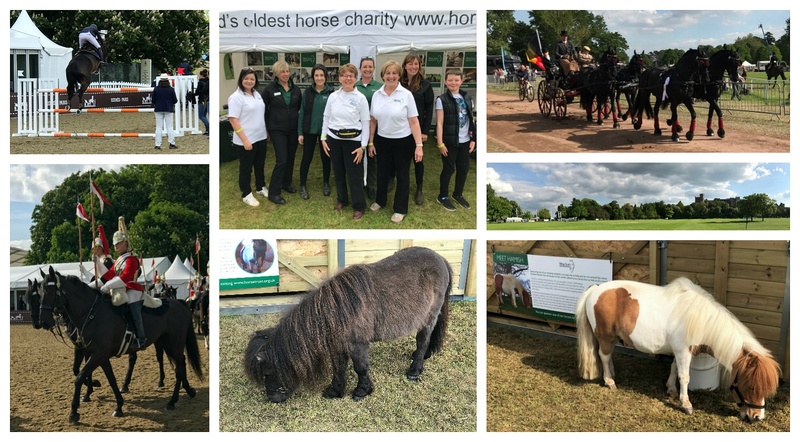 Our great friends and training partners at the Horse Trust attended the Royal Windsor Horse Show, working hard and spreading the word about the great work they all do. The Horse Trust is the World’s Oldest Horse Charity and for over 130 years their Home of Rest for Horses has specialised in providing retirement and respite for working horses and ponies. These hard-working equine public servants have served our nation in the Police, the Army or with charities which use horses to help people. The Horse Trust also provide sanctuary to horses, ponies and donkeys who have suffered from cruelty or neglect and who are in desperate need of specialist treatment and care. At the show Bear and Hamish, two rescue Shetland Ponies really drew in the crowds, thanks to the Horse Trust their sad stories have had a really happy ending. Neil Rae, our BARTA Education Development Lead spent a day with the team and learning about the rescue work they carry out and talking to members of public about the work they do and the training partnership we have. Our friends at the Trust in the last couple of years helped train over 800 Highways England Traffic Officers on the safe handling of equines and given them the confidence to carry out simple capture and control techniques, to help keep them safe when dealing with emergencies on the road network. We would like to thank everyone at the Horse Trust for supporting us and giving us the opportunity to help out.